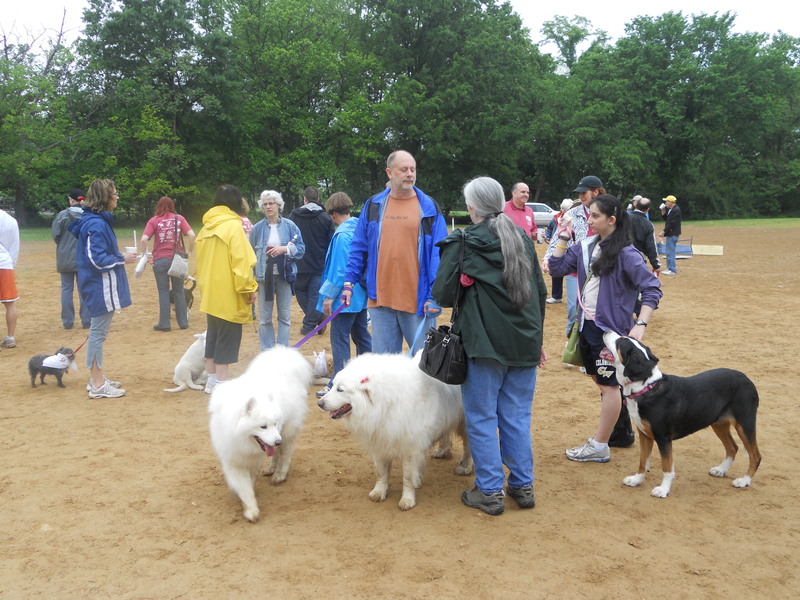 Less than 30 minutes before the start of the Arlington Animal Welfare League’s 16th annual Walk for the Animals Saturday, May 14, it was raining—pun intended—cats and dogs. 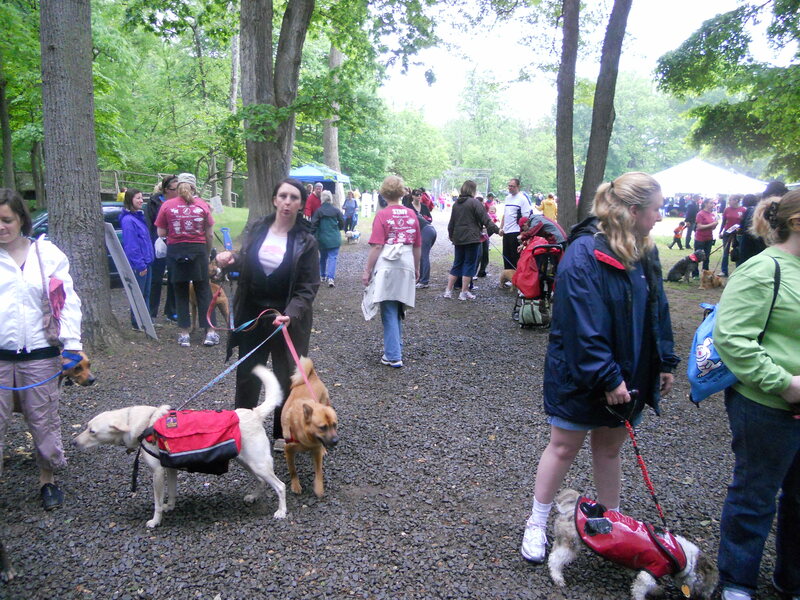 But just before the 9:30 a.m. start of the walk, the rain stopped to the relief of a couple hundred dogs and their owners. Dogs of all shapes and sizes set off with their owners on either a three mile walk or a one mile stroll. 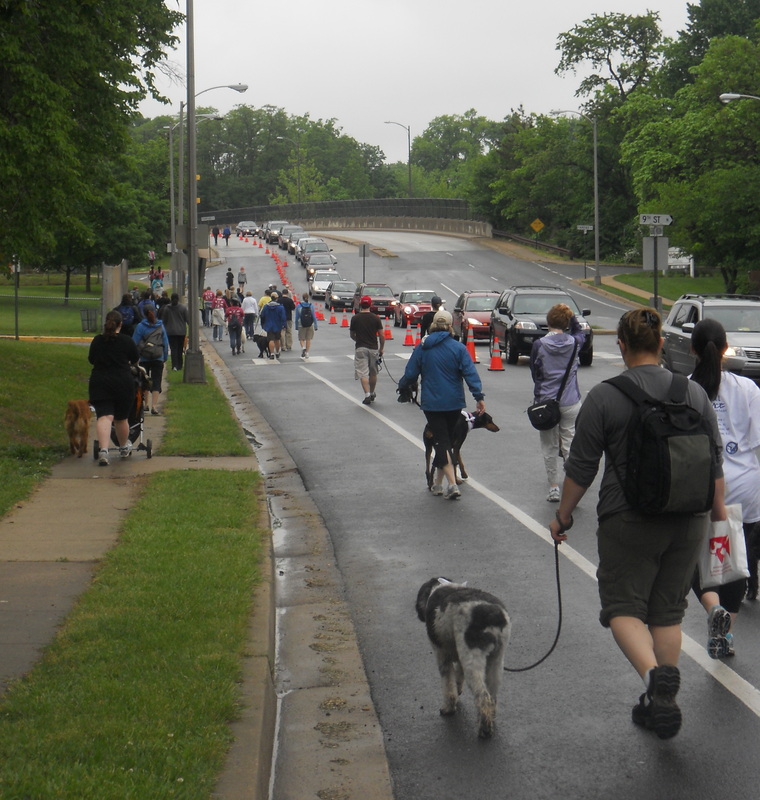 The route encompassed paved trails, neighborhoods and even a stretch on George Mason Drive, which had one lane blocked for the walkers, much to the dismay of car drivers. 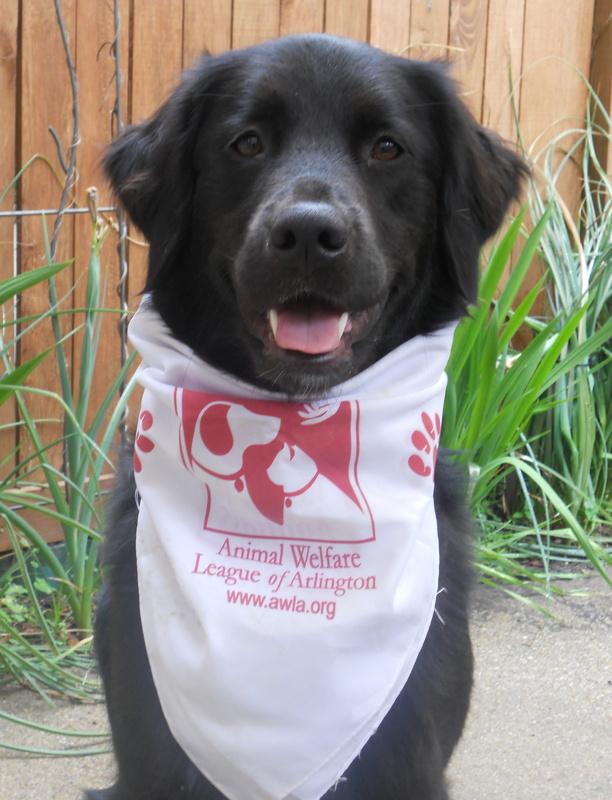 Pre-registered participants received a t-shirt and a sporty bandanna for their dog. 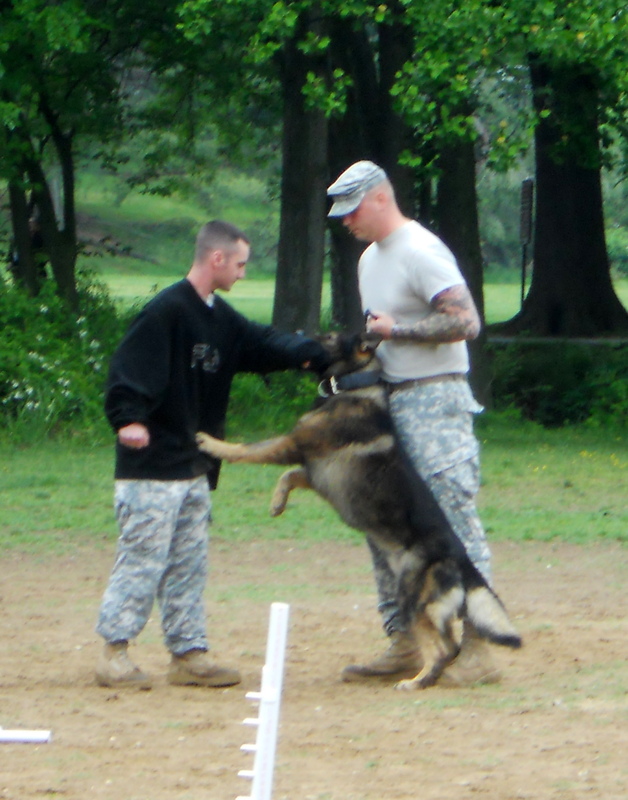 After the walk, attendees gathered to watch Arlington County Sheriff’s Office Deputy Patrick Grubar conduct a demonstration with K-9 officer Varius. 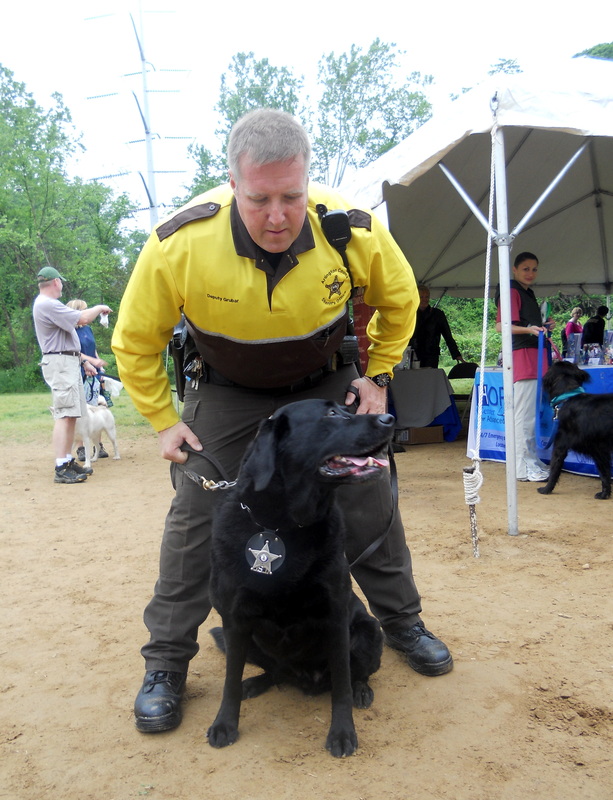 The stocky black Labrador Retriever looks like a generic family pet found in any back yard, but he is a 2003 graduate of the U.S. Customs K-9 Training Academy who is certified in the detection of marijuana, cocaine, ecstasy and other drugs. Varius easily found marijuana seeds hidden both under physical objects as well as in the pocket of a volunteer. 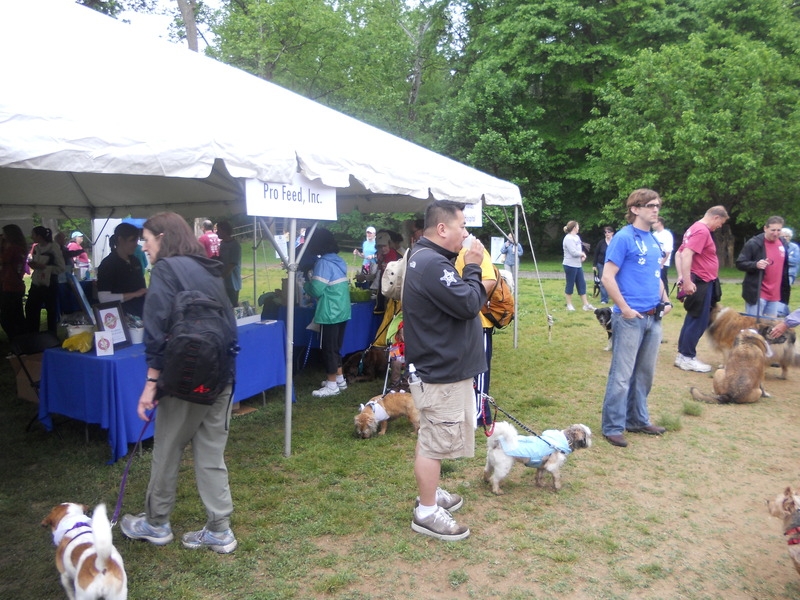 The vendors ranged from dog walking services such as Time for a Walk to animal hospitals including Caring Hands and Ballston Animal Hospital. 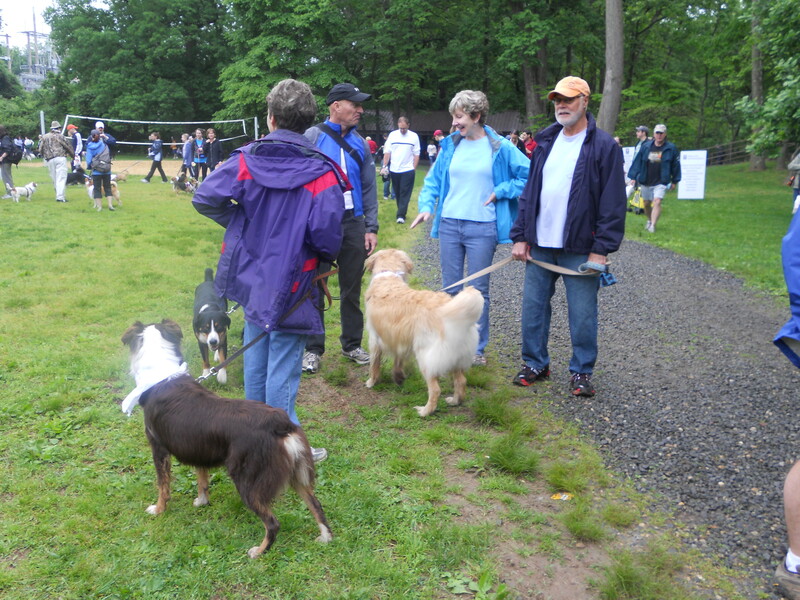 A few non-pet businesses, Great Harvest Bread Company and Java Shack, provided refreshments to the human participants. There were plenty of goodies being given out, including tennis balls, treats, magnets, pens and food samples.